Different positions. Different modus operandi. Similar career path. Identical landing spot. 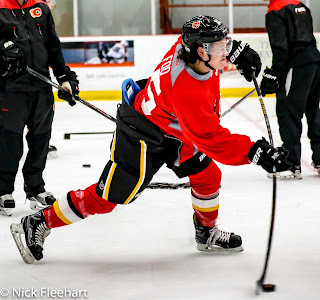 Meet right winger Spencer Foo and defenceman Josh Healey, two born-and-raised Edmonton products turned Calgary prospects after signing entry-level deals this off-season with the Flames. Healy agreed to his deal back in March. Foo signed officially on July 1. The two-year deals both begin in 2017-18. Less than two months apart in age with Foo having just turned 23 and Healey reaching that mark next Wednesday, the two played minor hockey in the same age group from novice through midget. They also played four years of summer hockey on the same team. In 2012-13, they overlapped for one year in the AJHL -- Foo with Bonnyville, Healy with Sherwood Park. Most recently they each played NCAA. Foo spent three years at Union College in New York, Healey went the full four years at Ohio State. Now they're both part of the Flames, an organization they've gotten to know well. A year ago they were both at this same development camp, only that time it was on a try-out or as it turns out, a sneak preview. 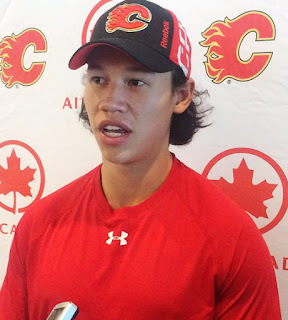 After his fitness testing Tuesday at WinSport, Foo talked about his choice of Calgary over the hometown Oilers and their lavish new digs, which was one of the other teams in pursuit. "The NHL is a business and it might be your favourite team growing up but they don't see you as that, you're just another player to them," explained Foo. "You really have to go where you're wanted the most and where you think you're going to have success." That took him a three-hour drive down the QE2. "Coming to camp here last year, that definitely helps too. I was able to see the types of people that are here. From top to bottom, it's a top notch organization," Foo said. He added that despite the optics that he was just dragging the decision out, it was about making an educated choice. "To get to this point, I've had to make a lot of decisions. I've learned that it doesn't matter what other people do, I have to make the best decision for me," Foo said, explaining why he waited until the summer to sign. "It seemed like the smartest move. With the expansion draft, there's so many different things going on in the league and players are moving around everywhere." Important to point out is this isn't a case of the Flames arriving on the scene at the 11th hour and poaching either player, the two sides were already very familiar with each other. "I've been talking to Calgary since my freshman year and they've always had that interest and I've come in and loved everybody that I've met here," Foo said. "The fact that there's so many good people, I think that's a big thing that helped make my decision." The final four left in the bidding were said to be Edmonton, Calgary, Vegas and Detroit, but Foo said staying north of the border was his preference. "I wanted to play in Canada at the end of the day so that was a bit of a factor," he said. "And being close to home but not right at home where there's all the added distractions, that helped too." As for Healey, the Oilers were once on his radar. But they fell off it. 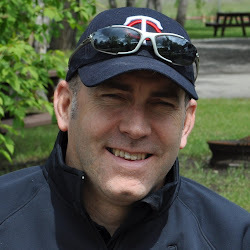 "I had gone to Edmonton's camp earlier in my college career but nothing really transpired," said Healey. "Coming to this same camp last year and seeing what Calgary was about as an organization, it was a no-brainer for me. l really liked everything I saw." The Flames have had their eye on Healey since his junior season. "Frank Anzalone was the scout that has come and watched me," he said. "He was at almost every one of my games this year. So that was pretty reassuring for me knowing that they were really interested in me and it wasn't all talk. "They were there watching me. So I did what I could in my last year and obviously they liked what they saw and I'm happy to be a Calgary Flame." Asked if there's a past college player that he can see himself having a similar career path to, Foo did not hesitate and his response was enough to send hearts a flutter in Flames nation. "Jake Guentzel," he said matter-of-factly. Yes, he of the league-high 13 goals in the 2017 Stanley Cup playoffs, three more than anybody else. "You can look at Guentzel this year. He goes from college (University of Nebraska-Omaha), starts in the AHL, and then ends up getting called up in November. Obviously, everybody saw the playoff run he had," said Foo. "It shows you that guys are able to make that jump if they're willing to put the work in." Rest assured that this young man is ready to roll up his sleeves and get after it. "I'm going to compete as hard as I can and I'm going to do everything I can to come in and make the team," said Foo. If some seasoning in the AHL under coach Ryan Huska is needed, so be it. "I feel as close as I ever have," said Foo. "It's been a pretty cool year for me where you have all that interest, but at the end of the day, it comes down to myself and my own performance. I'm just going to do whatever I can to be as good of a player coming into camp as I am." While Foo's specialty is lighting the lamp, Healey confesses that his niche is more so turning off the lights on any unsuspecting forward crossing the blueline with his head down. "As long as I can remember, I've just wanted to hit," says Healy with a smile. "Some guys want to score goals or make a sick play, I just want to blow some kid up. "It's just something that I have in me and it's got me to this point and it's why I'm here. I'm not ashamed of it." Healy points out two NHL players whose physical style of play he enjoys watching -- Niklas Kronwall and TJ Oshie. "I've always liked watching Kronwall because he hits a little differently, more with his back, but he still blows guys up, which I love to see," said Healy. "I also like watching TJ Oshie, he does the reverse hit quite a bit, which is something that I do. When he's got the puck, he'll throw the body if somebody is coming to him." But while that's the part of his game he takes the most pride in, he's not a... a-hem... one-hit wonder. "I definitely have the offensive capability and can jump up and create some offence if the opportunity is there," said Healey, whose 25 points (4 goals, 21 assists) in 35 games was 14 more than the next closest Buckeyes defenceman. "But it's not why I'm here. I'm not going to run the power play. I'm more of a pass-first guy and keep the puck out of our net." 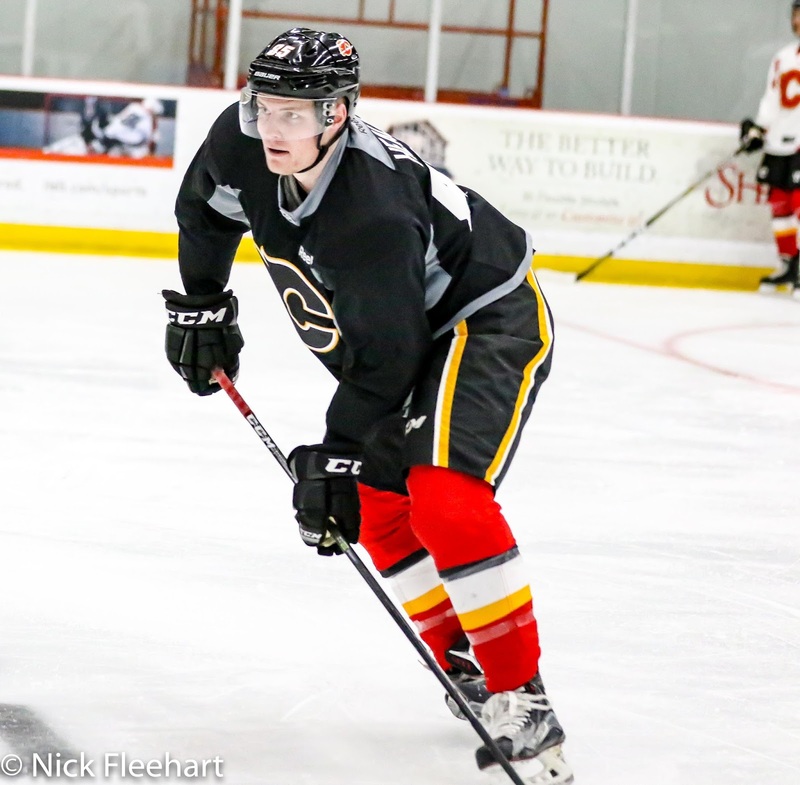 By signing as soon as his collegiate season ended, Healy got a taste of the AHL at the end of last year. While he only only suited up for two regular season games, he was around the team for a month or so, other than a quick jaunt back to Ohio State to write his final exams. 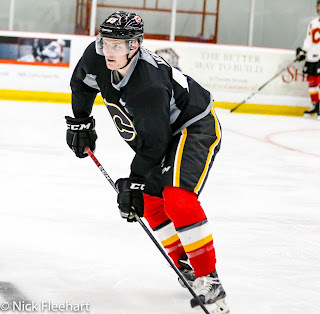 "Being my first taste of pro hockey, it was a lot different," said Healey. "Being in the AJHL, I lived at home, went to school with all my buddies, and then going to college, there's still no real pro mentality. It's not a business yet. In Stockton, I got to see that side of things. They're definitely there to win." He enjoyed what he saw too, as the intensity rose and the Heat's rivalries with some frequently-played rivals boiling over at times. "It was definitely better hockey than I thought it was going to be." Healey admitted. "I hadn't really watched a lot of AHL, but it was good hockey with guys going balls to the wall in order to win. Watching them against San Jose and San Antonio, guys were throwing bodies and there were brawls and fights. I'm like holy, what am I getting myself into here. But I like to throw the body and stir things up so it was awesome, I loved it. Next up is converting the masses from the Orange Crush to the C of Red as like himself, they all grew up as Oilers fans. "My sister, she's a Flames fan now. My Dad has switched over although he still likes the Oilers too. My grandparents have switched over. But my buddies are giving me a hard time, 'I'll cheer for you, but I can't cheer for the Flames.' But they're happy for me so that's good." The switch in colours may come easier for Foo's parents as his Mom grew up in Calgary before meeting his Dad (who moved to Canada from Guyana, South America at age 7) while going to school in Edmonton. Meanwhile, it's onwards and upwards for Foo, who is anxious to put the whirlwind last couple weeks behind him. "It's been crazy, everything that's going on and just coming down to the decision. It's awesome having it over with now and I'm just excited to be here," he said. "It's nice to get that off your shoulders and really start looking forward to what's ahead." For both players, they hope it's one day scoring a slick goal or laying a heavy hit in Edmonton as they've done many times before, only this time in a Flames victory. Do we have any news of how fitness training went? Especially interested in how Rasmuss Andersson and Emile Poirier did? Also who looked like they has jump in what ever drills they did? I remember going a couple of years ago and watcher Ferland with the coach 1 on 1 prior to the rest of camp(he was recovering from his knee injury and liked him in that work out) Hoping to make it for FRiday's session. Thanks for the article. They're pretty guarded with that stuff and so far, no, I have not heard any anecdotes about the fitness results. I don't expect to hear too much but will ask around today. Thanks for your article on Josh Healey. Up to now I really didn't know anything about him. 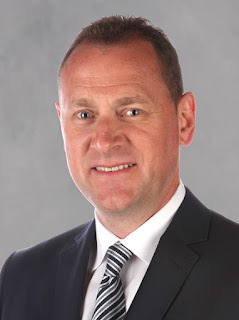 Would be eventual replacement for Engelland?